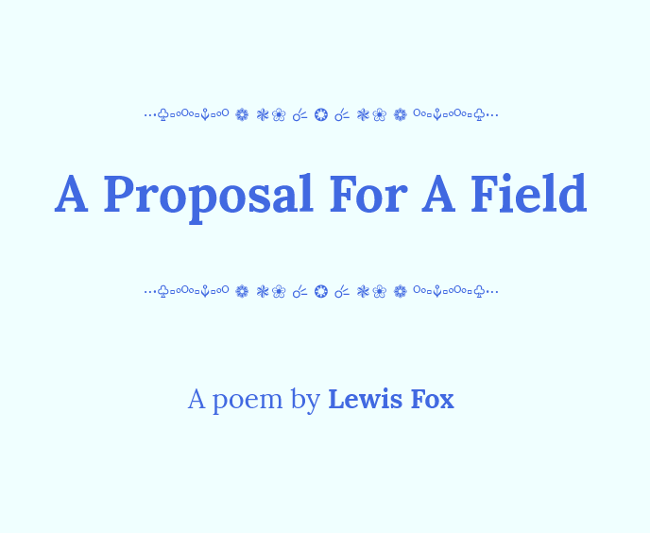 A poem by Lewis Fox. Inspired by the poetry of the romantic 18th centuary British poet, Alexander Pope. It It was written as a response to the removal of a school's playing field in a location that would have once inhabited Pope's garden. This poem is 18 stansas long. 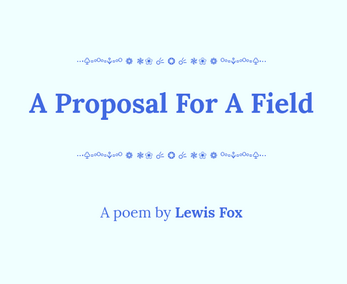 The application includes an optional 'Forward', and 'Preface'. In collaboration with 'From The Chasm' productions.